Removal ProcedureRemove the oil pan. Refer toOil Pan Replacement. 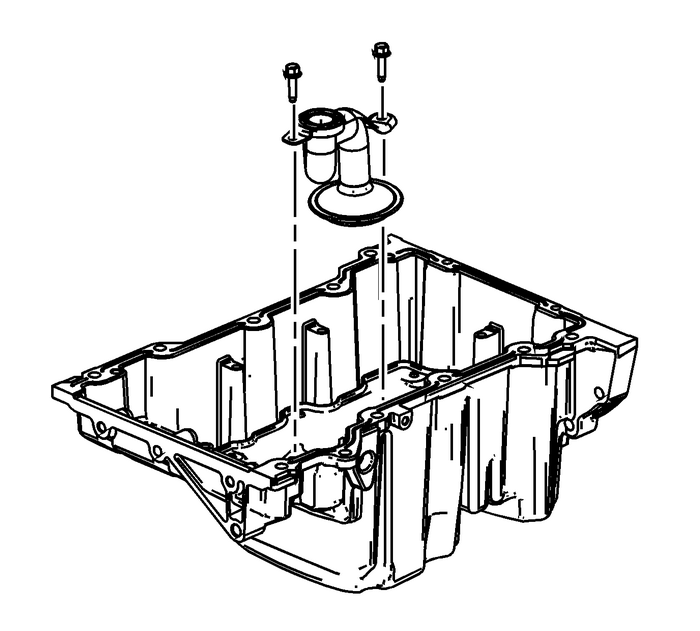 Remove the oil pan scraper bolts.Remove the oil pan scraper. Remove the oil suction pipe bolts.Remove the oil suction pipe. 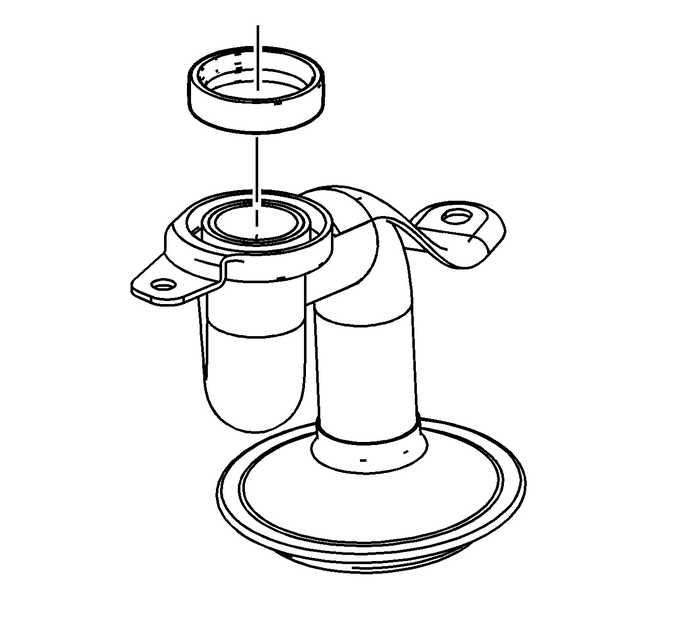 Install a NEW oil suction tube seal onto the oil suctiontube. DO NOT reuse the old oil suction tube seal. Install the oil suction pipe. Install the oil suction pipe bolts and tighten to10-Y(89-lb-in). 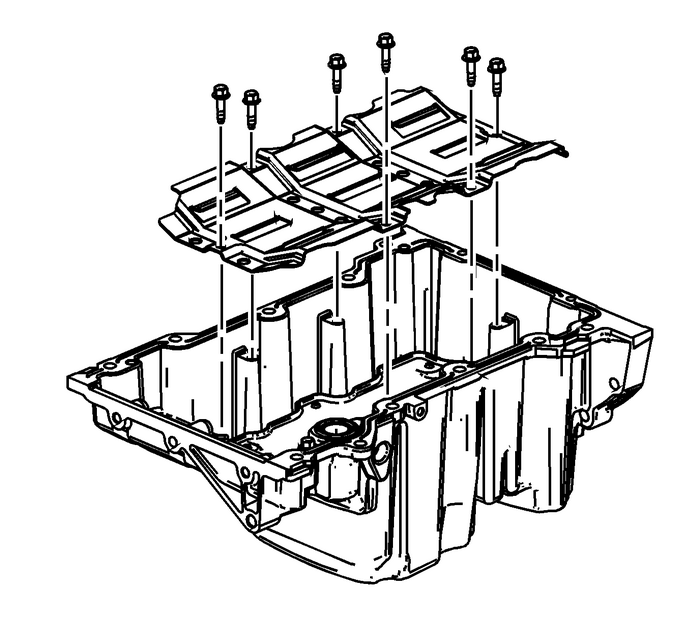 Install the oil pan scraper.Install the oil pan scraper bolts and tighten to10-Y(89-lb-in).Install the oil pan. Refer toOil Pan Replacement.